Pizza…it may have originated in Italy, but we’ve sure put our own personal mark on it here in the States! It’s almost like Mom’s apple pie. What goes better after a Little Leaque or softball game than pizza and soda, or beer…it’s really an American original! Find that great American pizza recipe right here in downtown Grass Valley, California. Welcome to Frank’s Pizza in historic Grass Valley, California. 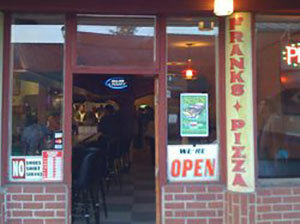 Frank’s has been serving up pizza for 54 years now using recipes that have been handed down for 3 generations. Our dough and sauce are made from scratch every day so that we can offer you only the freshest quality and taste. We use heaping amounts of only the finest ingredients so as to set apart our pizza from all others. 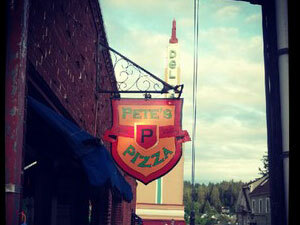 At Pete’s Pizza, all of our pizzas are handrolled and then baked in our stone ovens — no conveyors here! We offer pizza by the slice. We stay open until 11pm on the weekends (midnight in Spring/Summer!). We use Giusto’s Flour from San Francisco in our homemade dough. We have Auburn Alehouse Fool’s Gold and Gold Digger on draft. We have super fresh salad dressings that are homemade! We use Shaft Bleu Cheese in our amazing homemade Bleu Cheese Dressing. 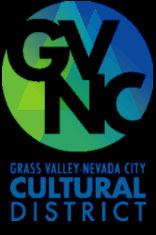 We love Nevada County and are grateful for all of our loyal customers!